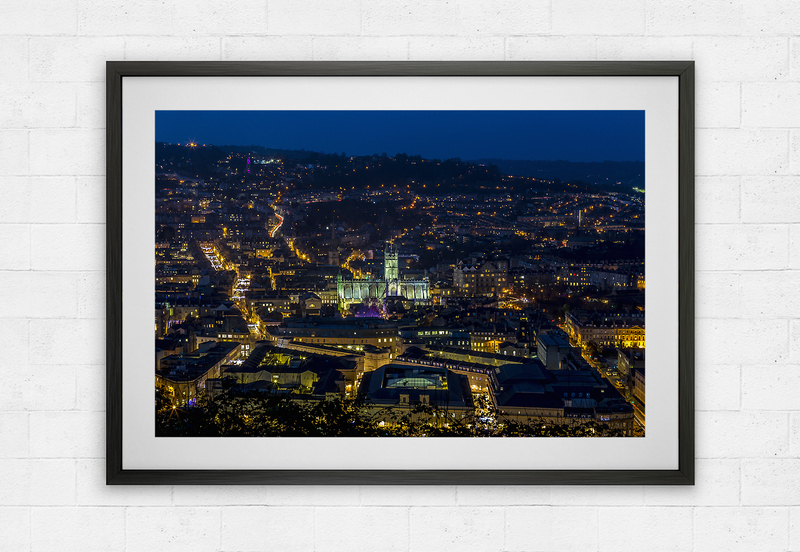 This stunning image of the City of Bath skyline is taken from Alexandra park in Bath and shows the City of Bath during the colourful Christmas market. 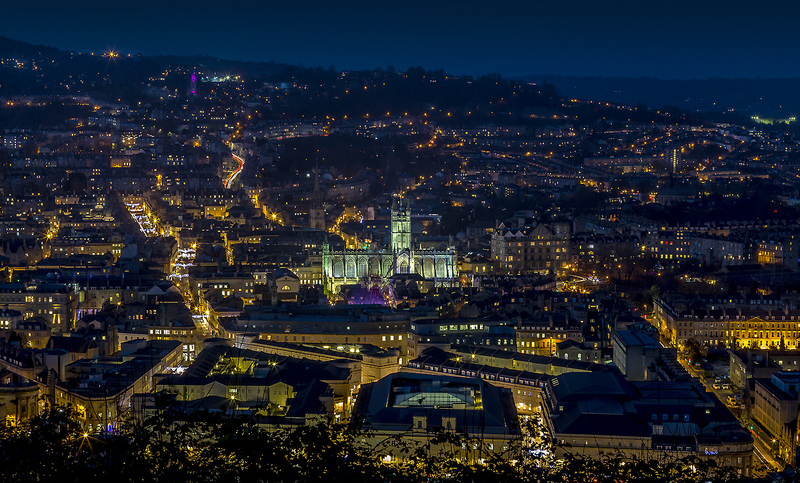 The city’s Chrsitmas lights come alive at dusk and central to this scene of Bath is the famous Bath Abbey. 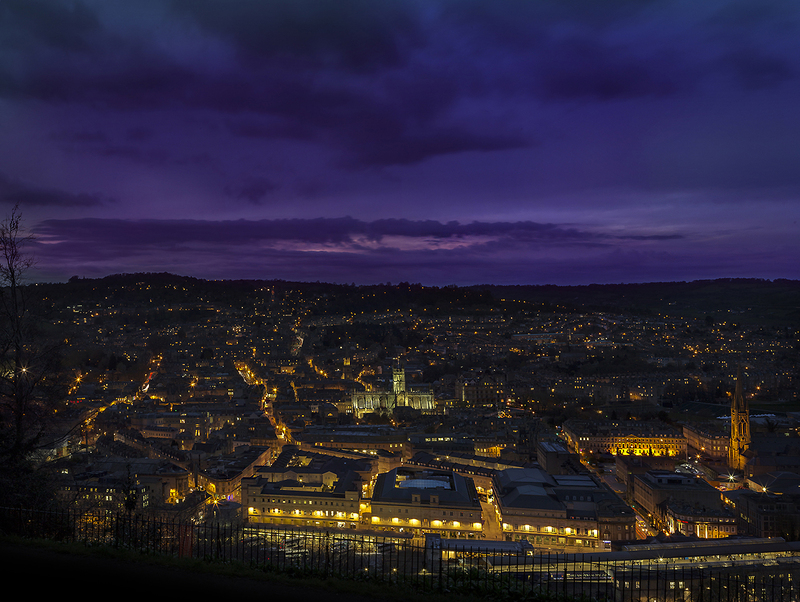 (Click here to view a larger image).